Hepatocyte nuclear factor-1-beta(HNF1B), or transcription factor-2(TCF2), is a member of the homeodomain-containing superfamily of transcription factors. 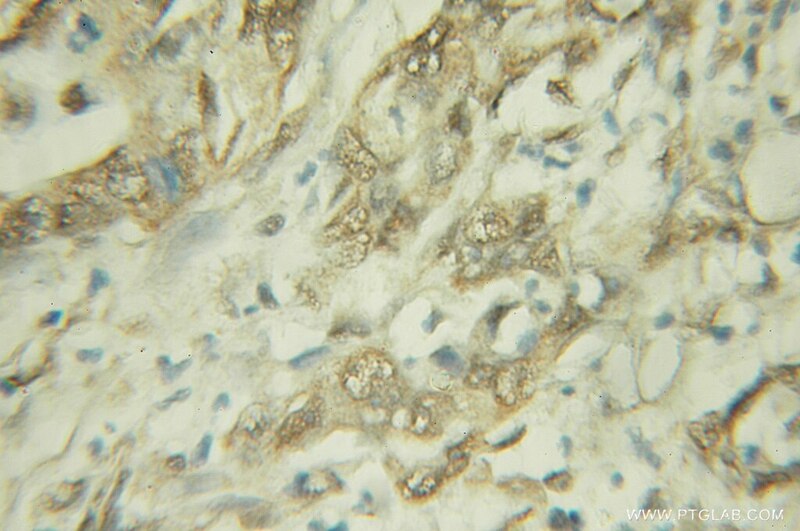 Early expression of HNF1B(12533-1-AP) is seen in the kidney, liver, pancreas, thymus, lung, gut and genital tract. HNF1B can be a homodimer or a heterodimer with HNF1A. It's a transcription factor, probably by binding to the inverted palindrome 5'-GTTAATNATTAAC-3', and as a bookmarking factor that marks target genes for rapid transcriptional reactivation after mitosis. 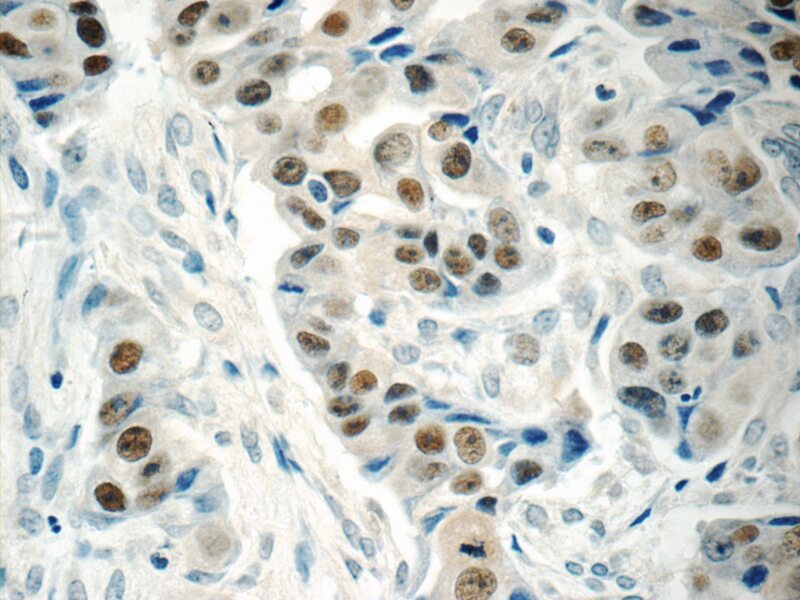 This is a rabbit polyclonal antibody raised against part chain of N-terminus of human HNF1B. HNF1B exists some isoforms with MV 61 kDa, 58 kDa, 46 kDa and 44 kDa. 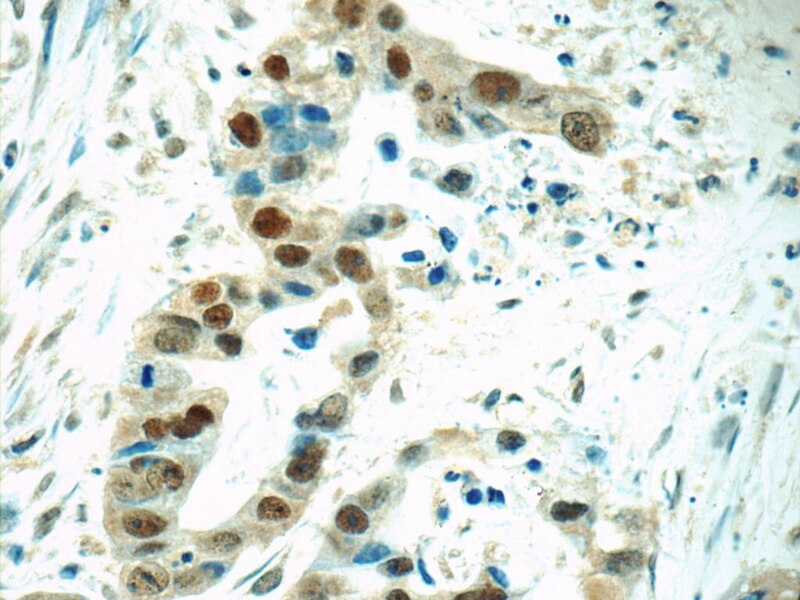 Hepatocyte nuclear factor 1β is a novel prognostic marker independent of the Milan criteria in transplantable hepatocellular carcinoma: a retrospective analysis based on tissue microarrays. 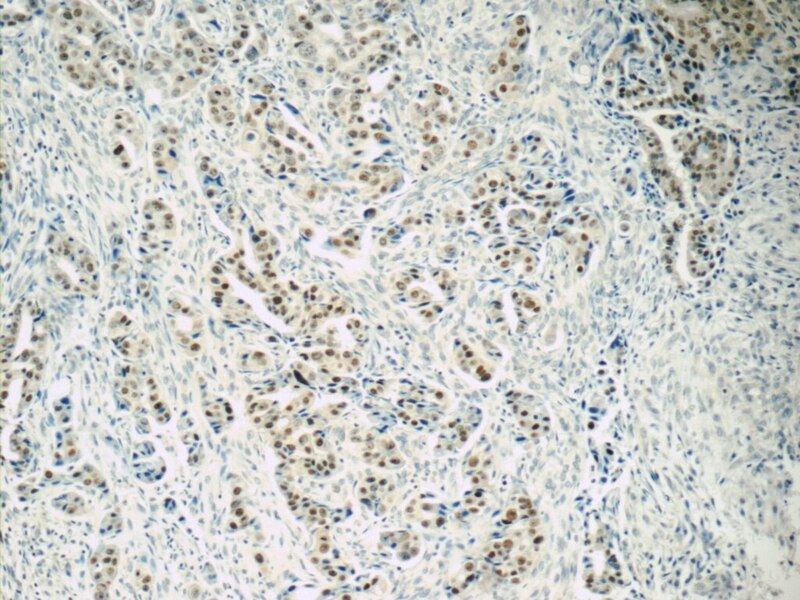 Clear cell carcinomas of the ovary: a multi-institutional study of 129 cases in Korea with prognostic significance of Emi1 and Galectin-3. 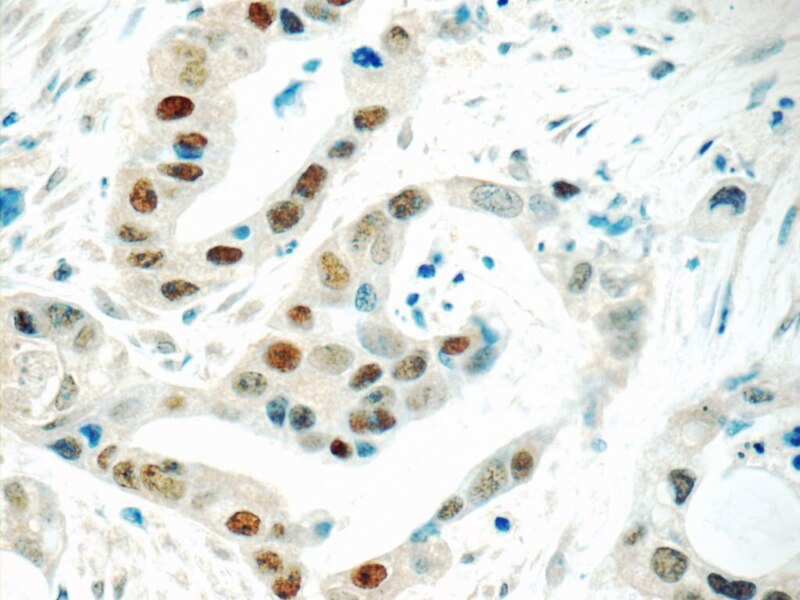 Ovarian cancers arising from endometriosis: A microenvironmental biomarker study including ER, HNF1ß, p53, PTEN, BAF250a, and COX-2. 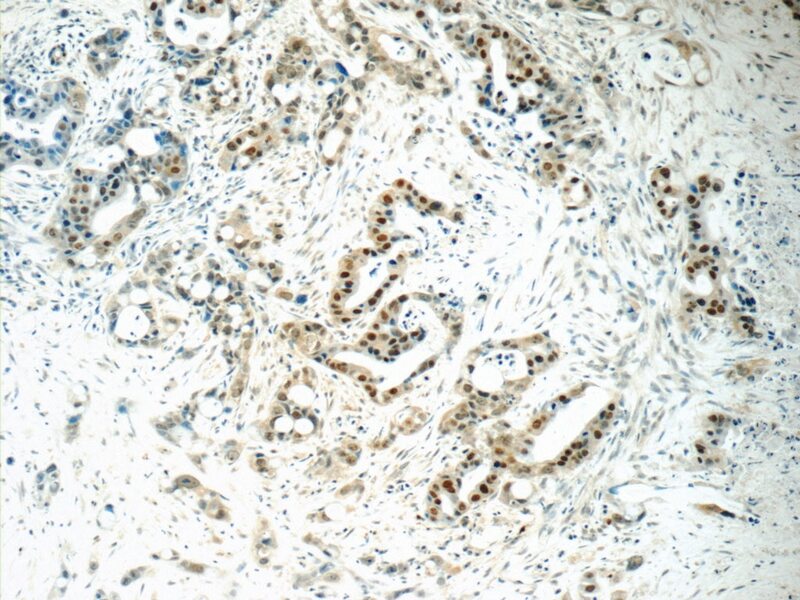 Does clear cell carcinoma of stomach exist? 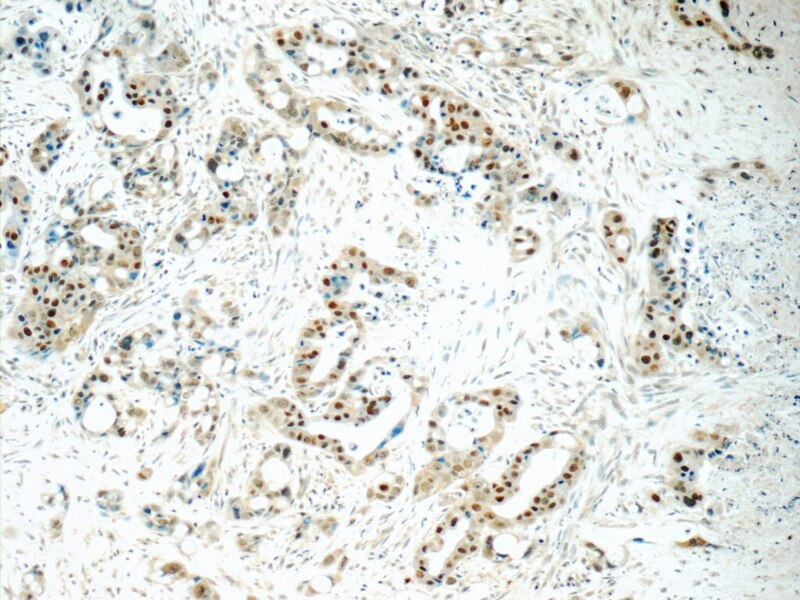 Clinicopathological and prognostic significance of clear cell changes in gastric adenocarcinomas. Prox1 ablation in hepatic progenitors causes defective hepatocyte specification and increases biliary cell commitment. Molecular Mechanism Underlying the Suppression of CPB2 Expression Caused by Persistent Hepatitis C Virus RNA Replication.